South Africa - Like the U.S. and many other countries, South Africa continues to have serious and fatal pit bull attacks. The pit bull problem has become a looming social issue along with dogfighting and the intrinsic violence tied to it. Last month, The Herald Online wrote a follow up article about a grizzly attack that occurred in October. Irwin Gesels, a 34-year old farm worker in the town of Hankey, was attacked by two Staffordshire terriers and a mongrel. The dogs chewed off both of his arms. "On October 18, while walking through the orchards, Gesels stopped to pick an orange when the dogs, two Staffordshire terriers and a mongrel, attacked him. He "lay still and pretended to be dead." Gesels was taken to the Humansdorp hospital after a relative called an ambulance, but was transferred to Port Elizabeth‘s Provincial Hospital and then Livingstone where doctors had to amputate his arms. After a hospital stay of about two months, Gesels is now fully dependent on his family at their Jansenville home." Following this attack was the deadly attack of 74-year old Grace Page. 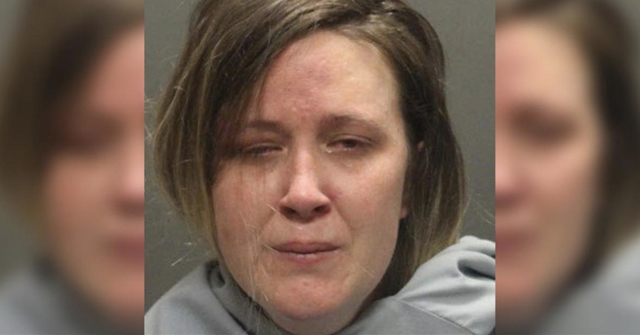 A witness said the dog ripped her eyes out their sockets. Shortly thereafter, animal behaviorist John Faul called for pit bulls to be banned in South Africa. The language Faul uses to describe pit bulls is noteworthy. One doesn't run across the term, "hair-trigger" attack too often. Faul also points out that mankind bred the "self-preservation" instincts out of a pit bull (as does Randall Lockwood), which greatly amplifies the danger they pose. He said the pit bull was bred to be absolutely fearless and had a "hair-trigger" attack response. "The cardinal rule is that these dogs are not pets," he said. "The only way to keep them is in a working environment." "The Irish, to our very great shame, created this dog in Cork," he said. "We created it for the reason that it must be absolutely fearless." He said all dogs were good at conflict avoidance, because of their sense of self-preservation. "In the pit bull terrier we took that out and replaced it with a hair-trigger response." Faul did not accept the claim that pit bulls were aggressive only towards other dogs and not humans. Unfortunately, the pit bull lobby is alive and well in South Africa, just as it is here. Jeanette Erasmus, president of the Pit Bull Federation, said, "People are taking the dogs and making them aggressive and they are not." In the same breath she adds, "Pit bulls were bred to fight bears, bulls and other dogs." It can't be both ways. The dogs were selectively bred for aggression or they were not, and no one disagrees that they were. Furthermore, "man biting" fighting dogs have been around for a long time. A quick click around another South African publication, The Independent Online, reveals many headlines that mirror our own. 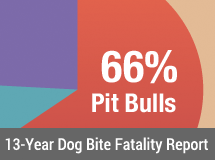 Pit bulls and their mixes have been maiming and killing people across the globe for years. This is why many countries ban the importation of new pit bulls and place regulations on existing pit bulls. It does not appear that South Africa has followed this path yet. But the county appears to be heading in this direction. One can only hope that Faul's voice is earnestly heard. 06/22/09 - Xander van Zyl had parts of his scalp ripped off, his ear nearly torn off, and his left arm broken after being attacked by a neighbor's pit bull. While the owners of the dog stood by and watched, Fanie van Rensburg, another neighbor, managed to save the child. Rensburg said, "The dog was dragging the boy back and forth, picking him up and letting go over and over. Each time the little boy reached out for me to pick him up, the dog would take hold again. " 12/08/06 - The Hartbeespoort gardener who was mauled by two Staffordshire bull terriers earlier this week during an epileptic fit remains in the intensive care unit of the George Mukhari Hospital. Hospital spokesperson Nolo Bashe said the condition of 60-year old Dampie Tladi had not changed. He has a damaged eye, nose and lip. His scalp was also torn in the attack. "He will need skin grafts but there is no indication of when that will be," Bashe said. 07/02/05 - The Animal Welfare Society of South Africa wants pit bull-terriers banned after a spate of vicious attacks on people and other dogs. The dogs are bred to fight to the death and some are owned by gangsters and other criminals who use them as a form of intimidation. In the latest attack, in Cape Town on Wednesday, a cross-bred dog was practically ripped apart in Hanover Park by a pit bull-terrier that had been wandering, unleashed, in a street. 06/14/05 - Three pit bull terriers, owned by a police officer, mauled a seven-year-old boy to death. The boy's grandfather was also injured in the attack; he was lucky to escape with his life, said spokesperson Captain Cherelle Ehlers. Police are "baffled" as to why the dogs pounced on young Austin Pieters, and how they had managed to get out of their yard. "The dogs got out of their yard and walked 3km by the time they came across the boy," Ehlers said. 07/22/04 - Pit bull terriers mauled an elderly Pretoria man to death when they turned on him after he tried to separate them while they were fighting. Inspector Percy Morokane said Daniel Jacobus Van Vuuren, 79, was going about the routine feeding of his daughter's seven dogs (six of which were pit bulls) at her home when he was attacked. He was bitten all over his body. Van Vuuren's wife sat helpless in a car nearby, hearing her husband screaming. 11/07/03 - Charles Murray, 48, sustained serious injuries to his neck, stomach, arms and legs as well as broken ribs and bones. His left leg had to be amputated. Murray was working on his car in the garden of his Margate home when the vehicle, which was suspended on supports, suddenly toppled and fell on to him. His son, Charles Murray Jr., who formerly bred pit bulls, said: "When the car fell on him he screamed for help and the dogs attacked him. 11/07/03 - A dog mauled a 56-year-old man in such a savage frenzy it had to be beaten to death. Daniel Abrahams of Scottsdene has more than 20 stitches on his face and body, a badly injured arm and no left ear. The dog attacked him on the premises of a paper recycling factory where he had worked for seven years. According to Abrahams's niece, Millisen Asia, another worker used an iron rod to kill the dog, which had locked his jaws and would not let go. News reports of violent pit bull attacks span the world. The reports of "sudden attacks" leaving victims maimed and killed are sadly interchangeable. Very interesting that “the Animal Welfare Society of South Africa wants pit bull-terriers banned after a spate of vicious attacks on people and other dogs.” That would never happen here. That society actually recognizes what is happening to other other animals, and the effects on humans protecting those animals as well. Th SA Pit Bull association, less than a year old, is already a well oiled PR spin machine. They have adopted the talking points and tactics of the American Nutters. A 4-year-old boy had parts of his scalp ripped off, his ear nearly torn off, and his left arm broken, when he was attacked by what is believed to be a pit bull terrier on Friday. While the owners of the house where the attack took place apparently stood by and watched, Fanie van Rensburg, a neighbour of little Xander van Zyl, managed to save the child from its jaws. “Man, what a horrible thing. The dog was dragging the boy back and forth, picking him up and letting go over and over. Each time the little boy reached out for me to pick him up, the dog would take hold again,” Van Rensburg said on Sunday. Xander’s mother, Cornel van Zyl, said the family had only been living in Secunda for four months. May 9, 2010 – Police are investigating after a man died following an attack by Bull Terriers in Vanderbijlpark on Sunday, ER24 said. The man estimated to be in his early twenties was found dead on scene by paramedics, said spokesperson Tristan Wadeley. The man, who allegedly worked on the plot where he was attacked, suffered multiple bite wounds. He was declared dead on scene. "WHILE THE OWNERS OF THE DOG STOOD BY AND WATCHED, Fanie van Rensburg, another neighbor, managed to save the child." In my experience, this is typical of the jerks who choose to own fighting/baiting breed dogs. First they say, oh, he won't hurt a fly. Then when the thing attacks, they stand passive, watching *with interest*, curious to see what their aggressive bred dog will do. These are people with serious neuroses and psychopathologies. The idea that you can leave our safety to the 'responsibility' of these types is ridiculous. We need all these fighting/baiting breeds banned, NOW, no grandfather clauses, just round them up and gently euthanize them. ALL of them. Another fatality in South Africa. I want Pit Bulls to be illegal in South Africa. Two Pit Bulls came into our property today and killed our family dog a male Maltese. I'm holding the owners responsible for the damage to the wall, the vet bills and the cost of a new dog. My 6yr old daughters best friend was attacked today (12/12/2011) by her fathers pitbull cross! The child is currently in hospital recovering from the following injuries: Her scalp & jaw were torn off & doctors reattached them, she has a bite mark on the front of her neck, her muscles in the back of her neck were ripped, her cheek was ripped through & the nerves torn so doctors don't know whether her cheek will hang or not! 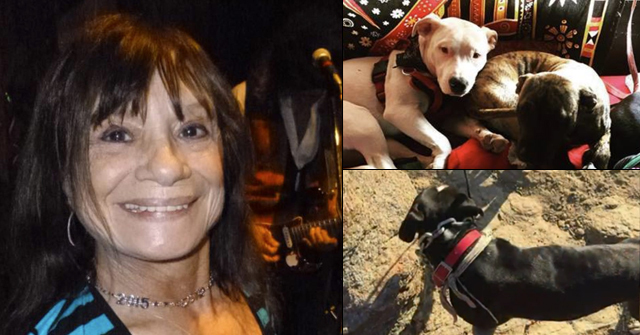 The doctors said that the dog missed her artery & spinal cord by millimeters! This little girl has a long recovery process ahead with loads of therapy & it is unclear whether she will be able to start grade 1 in 2012!! I have & never will like pitbull dogs!! My husband, 16 month old daughter, and myself stayed over at my Mom's house this past weekend. I was playing on the pc when I heard her pitbull snap and start barking aggressively. I heard my daughter crying and screaming and I rushed out to see what had happened. My husband was holding our daughter and her forehead and right eye was covered in blood. I freaked out and started crying and we had to rush her to hospital to get her medical treatment for the wounds. I am so angry with my Mom as she was insistent that my daughter had provoked the attack, and she didn't even punish the dog or seem too concerned as to having him taken away. Seven years previously the dog attacked one of my boyfriend's and ripped the tip of his nose nearly off. I would like to take action and have the dog taken away or put down as he is unstable with children and other animals, and I would like to prevent another more serious attack from happening. My mother is in denial about the dog being dangerous and was more concerned about the welfare of the dog than the safety of her own grand child. Who can report this incident to in SA that would assist in getting the dog taken away? Contact the hospital who treated your daughter and ask what authority you should report the dog bite. Usually it is your local or regional animal control agency, but we are unfamiliar how SA operates. 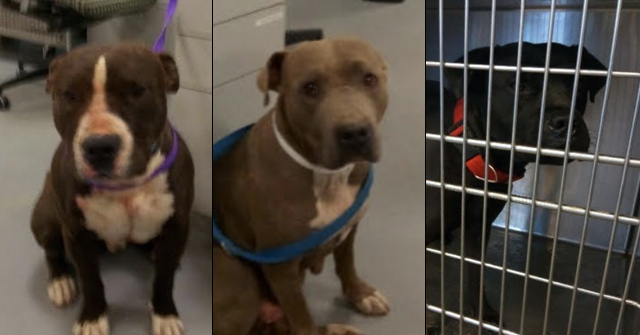 The hospital may have already reported the bite to a health agency, but you are looking for the agency that deals with dangerous dogs (or designating dogs as dangerous).